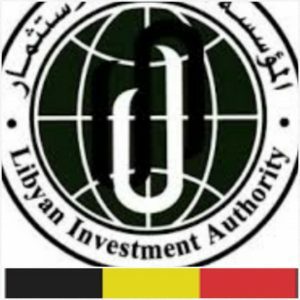 The LIA confirms its aware of legal transfer of interest and dividend payments from its Belgian based frozen assets (Photo:Libya Herald collage). The Libyan Investment Authority (LIA) has stated that it has been aware that interest and dividend payments on its assets based in Belgium, frozen by a UN Security Council resolution, have been, in its view, legally transferred to other countries. In its statement released on Saturday, the LIA stated that it is aware that in many jurisdictions, such as the UK, Belgium, Germany, Italy and Luxembourg, the UN Security Council freeze does not extend to interest and dividend payments. The LIA said that for its part, it had no involvement in any alleged breaking of of the UN Security Council resolution freezing Libya’s assets (as opposed to interests or dividends), claimed by the Latest UN Libya Experts Panel report. However, it stated that in its view, it considers the “conclusions of the UN Panel on interest (payments) are wrong”. The LIA was clear that Belgium had a clear legal basis for releasing interest and dividend payments. It also quoted a UK Treasury notice confirming the same applies in the UK. Consequently, the LIA confirmed that interest on assets from Belgium’s Euroclear bank have been “legally” transferred to accounts in Luxembourg, UK, and Bahrain. The LIA stressed that it was investigating what happened to money in its Euroclear accounts and would report to the UN and other authorities. However, it was confident that no assets had been misused, as had been alleged by Belgian media reports and Belgian parliamentarians. However, the LIA did not reveal in its statement, as has been called for by many Libyan politicians, why interest and dividend payments had been transferred to accounts outside Belgium. It also did not say what happened to those interest and dividend payments and what were they used for. Indeed, this latest LIA statement on the matter of Libya’s frozen assets in Belgium has only increased the calls for further revelations and transparency on Libya’s assets and interest/dividend payments by the LIA.